The philosopher Martin Heidegger suggested in the 1920s that time persists solely as a consequence of the events that take place within it. Now, a team of Norwegian scientists has confirmed the mechanism the brain uses to make sense of the passage of time as we experience something, thanks to the help of a chocolate-loving lab rat. Manmade clocks may precisely measure time, but, from a human perspective, the passage of time is remarkably fluid. It drags when you're doing your taxes but really does fly when you're having fun. Isolate yourself from any markers of time (night and day, watches or clocks) and you will feel less time has passed than actually has, because under those circumstances, the brain condenses time. Time also seems to pass faster as we get older, apparently because our brain only encodes new experiences, not those we're already familiar with. Everything is new and different in childhood, but the older we get, the more we have experienced, so there are fewer novel events. How the brain fixes the timing of the events we experience depends on episodic memory. Whenever you remember key events from your past, you are tapping into episodic memory, which encodes what happened, where it happened, and when it happened, doing so for all our remembered experiences. Neuroscientists know the brain must have a kind of internal clock or pacemaker to help it track those experiences and record them as memories. 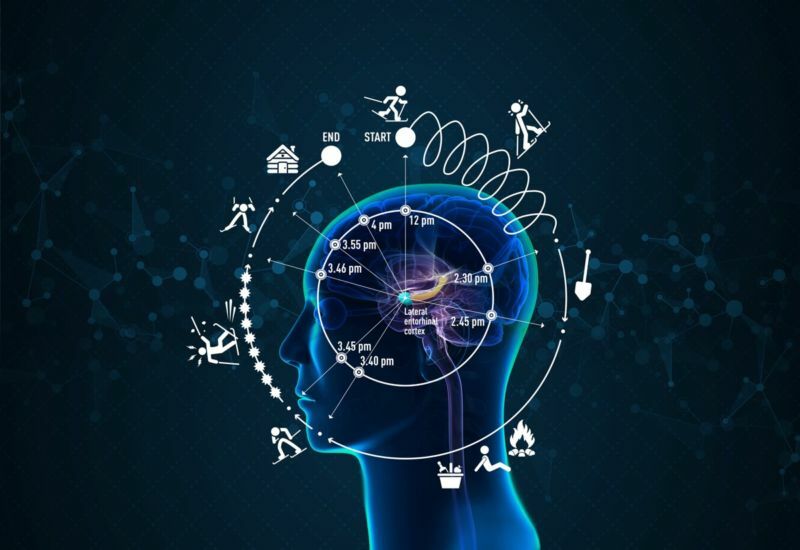 In a new paper in Nature, researchers at the Kavli Institute for Systems Neuroscience (KISN) in Norway report that they have pinpointed a collection of interconnected brain cells that provides this clock. And it just happens to be located right next to the brain region that keeps track of where we are in space. Still just a rat in a cage: Marco the lab rat chases his chocolate cravings—for science! Scientists have known how the brain encodes the aspect of space in our memories since 2005, with the Nobel Prize-winning discovery of grid cells. These reside in a brain region called the medial entorhinal cortex (MEC), and they collectively map our environment into hexagonal units. Right next door is the lateral entorhinal cortex (LEC). At the time of grid cells' discovery, its precise function was mysterious, in part because there didn't seem to be much of a pattern to the electrical activity among those cells. A couple of years ago, lead author Albert Tsao and his KISN colleagues realized that is precisely the behavior they should expect to see if the signal were changing with time—the better to record experiences as unique memories. Our time tracking system has to be flexible because (as we noted above) the perception of time depends on context. How your brain records the passage of time when you are engaged in a mundane repetitive task like playing Solitaire will be different from how it does so if you are experiencing Thai food for the first time. The brain handles this by making the system very distributed, with hundreds of cells involved (meaning the researchers had to record lots of them). By contrast, location seems to be handled by a smaller number of specialized cells. 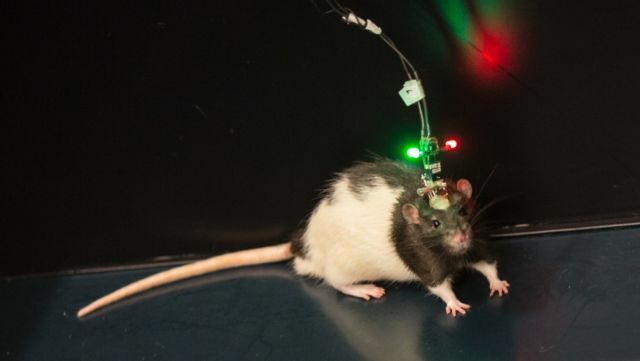 The researchers put their hunch to the test in an experiment with a rat named Marco. In the first round, Marco was free to roam about for two hours, exploring his environment in search of his favorite treat: bits of chocolate. The researchers tracked his brain activity in the LEC as he did so and then successfully worked backward from the recorded signal to verify exactly when various key events (like finding a piece of yummy chocolate) had occurred during the experiment. For the second round, researchers set boundaries on Marco's chocolate hunt: instead of roaming freely, he was forced to turn left or right in a maze shaped like a figure eight. The shift in type of activity showed up in the neural activity data. "We saw the time-coding signal change character from unique sequences in time, to a repetitive and partly overlapping pattern," said Tsao. "The time signal became more precise and predictable during the repetitive task." They were seeing the changing shape of time in response to different experiences. The results provide strong evidence that the function of this particular network of cells is to timestamp events that we experience and keep track of the order in which they happened, according to Tsao's co-author, Edvard Moser. "We have found an area with activity so strongly relating to the time of an event or experience, it may open up a whole new research field," he said.